From Beverly Cleary’s Ralph S. Mouse to Stuart Little by E.B. White, the idea of adorable, heroic rodents doing miniaturized versions of human things has enthralled generations of kids. 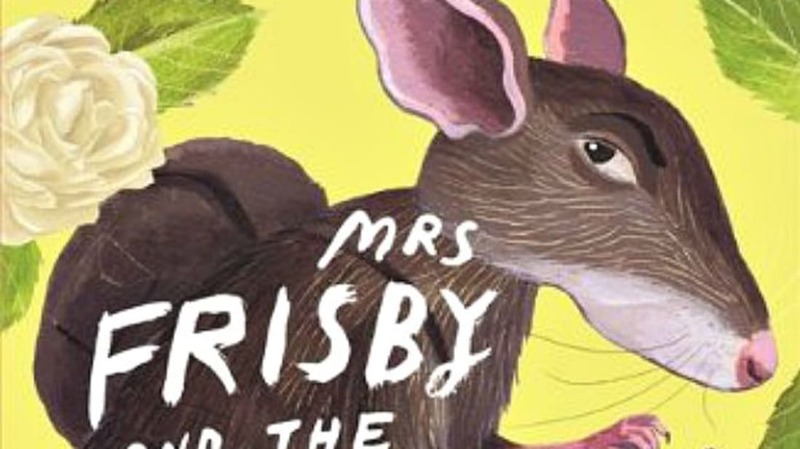 And then you have Mrs. Frisby and the Rats of NIMH, which should actually be classified as a horror story. Robert C. O’Brien, a journalist for National Geographic, was inspired to write the 1971 tale about Mrs. Frisby’s quest after reading a study conducted by behavioral sciences researcher John Calhoun. Dr. Calhoun spent the better part of a 40-year career working at the National Institute of Mental Health, or NIMH, conducting various experiments and studies on mice to see what would happen when their population grew too big for their environment. His most famous experiment placed four pairs of mice into a mouse universe he called “Universe 25,” a 9-foot-by-9-foot metal pen with tunnels, nesting boxes, and food and water dispensers. The population doubled every couple of months, until it reached 620 mice on day 315. By day 560, there were 2,200 mice crammed into that 9x9 space—and things got pretty ugly. Mother mice kicked their babies out of the nest before the young were ready. Other mice wounded and killed the babies. Males lost the ability to protect their females. Fighting and cannibalism broke out amongst non-dominant males. Dominant males retreated into themselves, preferring to spend their time eating, drinking, and grooming. Calhoun called these guys “the Beautiful Ones.” Eventually, the mice stopped reproducing entirely, and the mouse society came to an end. So ... think about that the next time you break out Mrs. Frisby for a bedtime story.